The Russian Su-27 came within 25 feet of a US RC-135 reconnaissance plane on Friday and flew upside down over its cockpit. The American jet was flying a routine mission in international airspace when the Russian plane intercepted it, according to the Pentagon. The dangerous act “has the potential to cause serious harm and injury to all aircrews involved,” Pentagon spokesman Bill Urban said in a statement. The Russian Ministry of Defense claimed its pilot buzzed the Americans because the American jet’s transponder was turned off. On April 11, Russian Su-24 jets buzzed the USS Donald Cook destroyer 20 times. 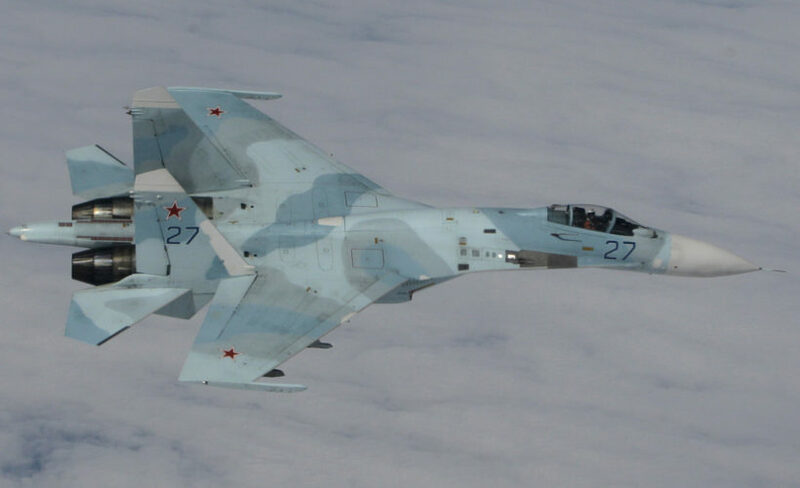 On April 12, two Russian Sukhoi Su-24 warplanes flew so close to a US guided-missile destroyer they created wakes in the Baltic Sea during 11 passes, a US official said. Then, on April 14, a Russian Su-27 pulled a similar stunt in the Baltic, flying just 50 feet off an American plane’s wing tip. The incidents reveal increasing provocation by Russia and rising tensions between Russia and the US over eastern Europe. The Department of Defense announced in February it was spending $3.4 billion for the European Reassurance Initiative to help deter increasing Russian aggression against NATO allies. [As reported after the previous incidents, the events were reminiscent of the Cold War, when a series of close calls led to a bilateral agreement aimed at avoiding dangerous interactions at sea that was signed in 1972 by then-Secretary of the Navy John Warner and Soviet Admiral Sergei Gorshkov. a) Where was the U.S. jet? Be specific. b) What type of jet is it? c) What type of mission was it on? d) How close did the Russian plane come to the US jet? 2. How did Russia respond to questions about its latest provocation? 3. List the other recent incidents when Russia buzzed U.S. ships/planes. 4. What is NATO? – What is its purpose? 5. a) Russia is deliberately provoking us. How do you think the Obama administration should respond? Explain your answer. b) Which presidential candidate do you think would be the best commander-in-chief to deal with a hostile Russia? Explain your answer.